FORWARD Ep. 19 Deep Turns | jibtv.com | Japan International Broadcasting Inc. Soon after Paul Vanderheiden moved to Misawa with his wife, a dentist in the U.S. Air Force, he was drawn to the Hakkoda Mountains. He formed close ties with residents, who shared his love for snowboarding on backcountry powder. 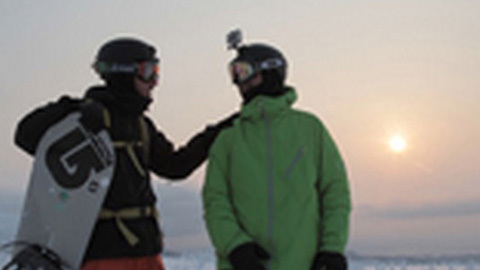 Vanderheiden started a tour to help others safely enjoy the backcountry. However, the events of March 11, 2011 changed the lives of everyone in the Tohoku region. Paul's deep connection to the mountains and his family's bonds with the people there led them to stay in Tohoku and move forward there.